Are you looking for an authentic Sith Empire experience? Look no further! The Academy of the Adumbrate is a Mature 19+ Heavy RP Guild focused on regular Character Evolution & Development and inclusive long & short-term Guild Plotlines! Members will utilize a streamlined Character Sheet for Training and Roll Procedure. We offer a 6 Level IC Training Program for both Force and Non-Force Users. The Empire is fragmented. Our objective is to once again see it whole. We are not content to see empires within the Empire, which will ultimately rip it apart. We will bring strength and dominance back to the Sith Empire and never again allow any part of our Empire to be subjugated. 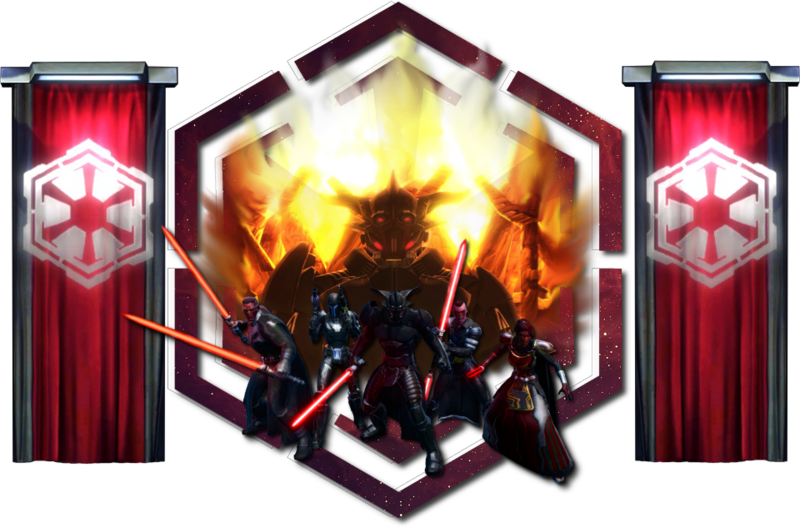 During the failed rule of the Eternal Empire and in its aftermath, Darth Azhrael grew his powerbase and gathered to him the strength to strike at his enemies. Allies, troops, and spies are spread throughout the galaxy, placed in strategic positions. But the splintering of the Sith Empire was his greatest concern, and so he began a new endeavor: an Academy. The Academy is not purely for teaching, it is also a tool for evaluating the most worthy Sith, Soldiers, and Mandalorians to join his powerbase in order to ensure the continuation of the true Sith and bring the galaxy to heel. The Adumbrate and its Academy will carve all who seek it into an instrument for the glory of the Sith Empire. The Adumbrate, through the Sphere of Sith Philosophy, knows the key to reunifying the Empire is through enforcing the Sith code and the Sith way. It is not an article for interpretation but instead a method by which to attain the highest power in the Force; the greatest control of one’s self. The Academy will physically, mentally, and spiritually challenge its students. Those true Sith of willing body and mind who seek the Adumbrate organization will become the strength of the Empire. We must all unite under the same banner once again. We accept Force sensitive and non-Force sensitive characters into the Adumbrate. All are subject to rigorous discipline to ensure the legacy of the Sith continues, unsullied by heretical teachings. We are not Rebels. We are not Revanites. We are not an empire within the Empire. We are not ‘traditional’ Sith. We are not ‘old ways’ Sith. We are not ‘evil’ Sith. We are the one, true Sith Empire. The Academy of the Adumbrate serves the Sphere of Sith Philosophy. Although the Sith Empire also suffered heavy losses in the war against Zakuul, Darth Acina’s solitary rulership allowed her to direct her government’s resources more efficiently in the aftermath; as a result, the Imperial fleet is now numerically superior to the Republic’s, with superior troop numbers to match. Efforts to integrate non-humans into the military have been unexpectedly successful, further replenishing the Empire’s ranks. Combined with her successful campaign on Iokath, Acina’s hold on the Imperial throne is absolute. The coordination of the Empire’s forces is similarly impressive. Acina’s low tolerance for schemes and betrayal has created an atmosphere where Sith–no longer concerned they’ll be stabbed in the back by rivals--and their commanders are more willing to commit themselves fully to their deployments. If Acina is successful in maintaining this new status quo, her forces will be able to move very aggressively into Republic territories when war breaks out. Information on the status and whereabouts of the Jedi is still difficult to come by. A token presence remains on Tython; they claim to be the last of their order, but frequent encounters with other Jedi across the galaxy suggest that this is patently untrue, and perhaps part of a larger effort to obscure the order’s current numbers. If there is a functioning Jedi Council, they are entirely hidden. The most likely individual to be involved in renewed Jedi leadership, Satele Shan, appears to no longer have any connection to the order’s operations. Rumors suggest that she has begun to train her own crop of students in a hidden academy on Coruscant, but our agents were unable to confirm or disprove these rumors. Based on the intelligence we’ve gathered, I believe the Jedi recognized the possibility of their order being destroyed by the Eternal Empire and chose to de-centralize themselves to better their chances of long-term survival. Elaborate conspiracies have never been a Jedi strong suit, so I suspect they are merely biding their time until circumstances call for them to unite once more. 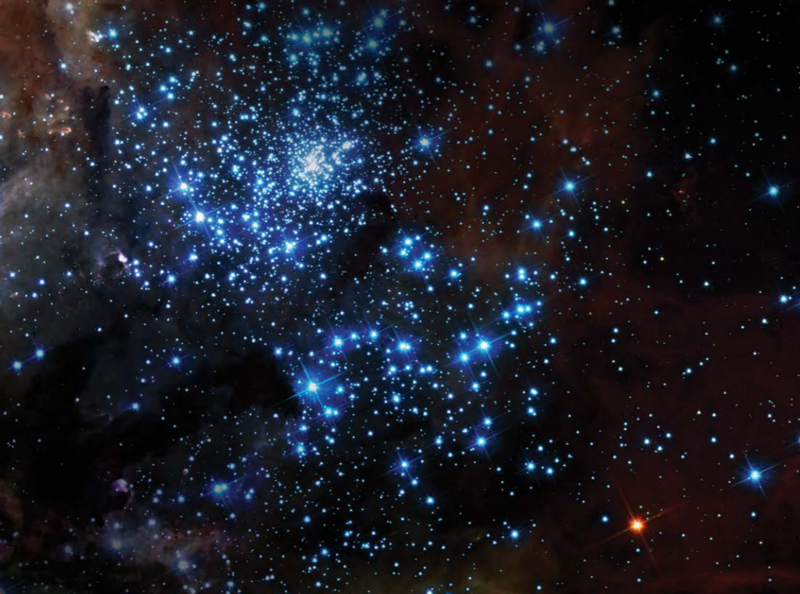 We claim all nations, all planets, all stars – they are ours. The Empire pushes through the galaxy to claim or reclaim what is ours. But ahead of the military houses and the agents of diplomacy we will forge a path into populations known and unknown.We will shift the fate of worlds by bringing the beliefs of the Empire to the struggling galaxy so they will see the nature of truth. This sandbox campagin will forge mighty tales of both victory and bitter defeat that will bring your character to new depths of development while being flexible enough to fit the tone and desired needs of the players. Join the fun! Darth Polemy has died and his legacy is left for the taking. Many inheritors will come, but only one will unite the remnants of his power. The Darth’s influence was spread throughout the galaxy and there are many pieces to claim in order to solidify control. This strategy campaign will bring a number of factions against each other to battle for this powerbase. Join the Adumbrate as they attempt to claim the wealth and resources available for the glory of the Empire! 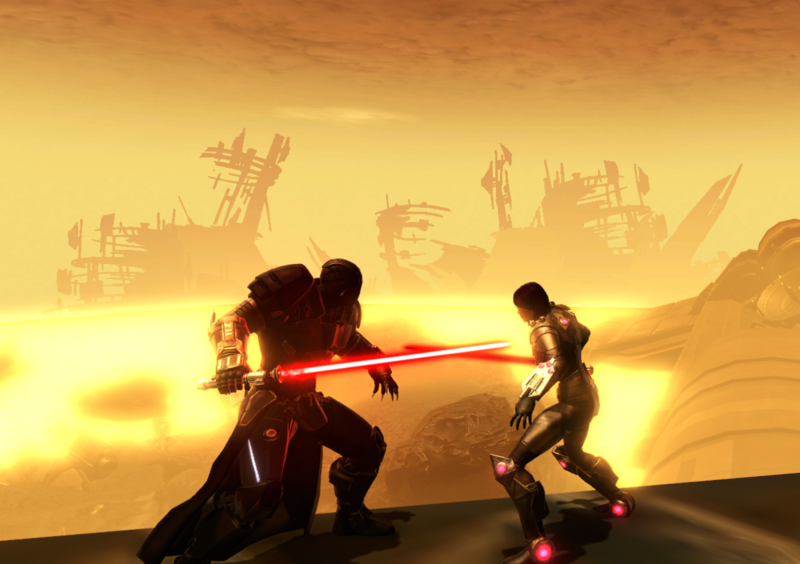 Experience the saga, depth, and emotion of the struggling Sith Empire as it begins to rise from the ashes. Liberate worlds from the grip of the hypocrites of the Republic. Delve into ancient secrets. Develop your character through trials, pain, and victory.